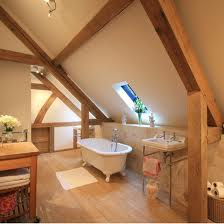 Every attic can benefit from a bath in it. 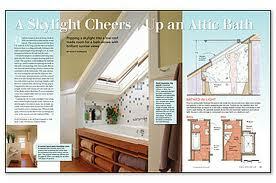 If the attic serves as an apartment, bedroom, kids room, guest room or family room it is almost a "must". 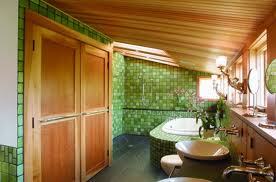 Here are beautiful attic baths. I hope you will be inspired. 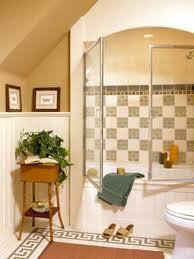 The picture below shows a vintage eclectic inspired bath. The wood floor adds warmth and comfort to bare feet. The bath has an old fireplace and other vintage elements: the claw foot tab and shower pipes, the old mirrors, scones and pictures on the wall and the mismatched vintage furniture. All in all charming. (VogueUK.com). 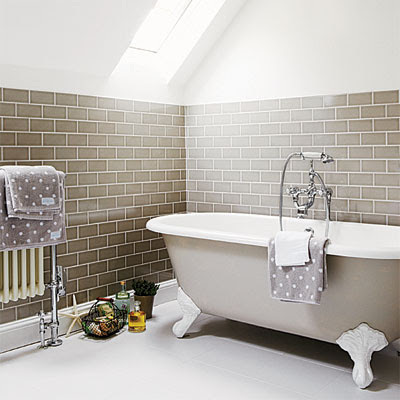 Here is a clean bath that can easily suit a cottage or a coastal home. Here too there is a vintage flair in the moldings, claw foot tab, the vintage picture above the tub and the old wood floor. The big window lets the light in. 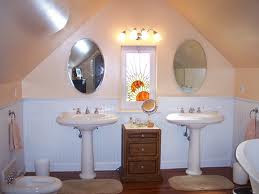 Another vintage inspired attic bath. Here there was use of subway tiles, but this time in brown. 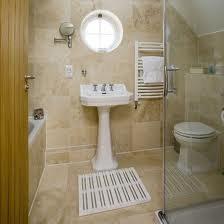 There is also a claw foot tub, set under a skylight and a vintage inspired radiator that also warms the towels. How comfy. 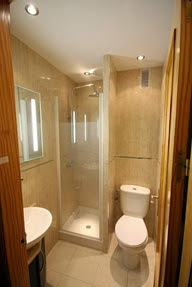 A light and bright bathroom by CG&S Design-Build (houzz.com). 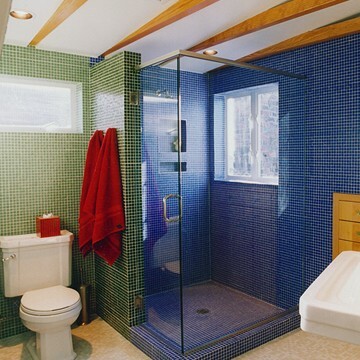 The slopped ceiling was Incorporated in the shower design. 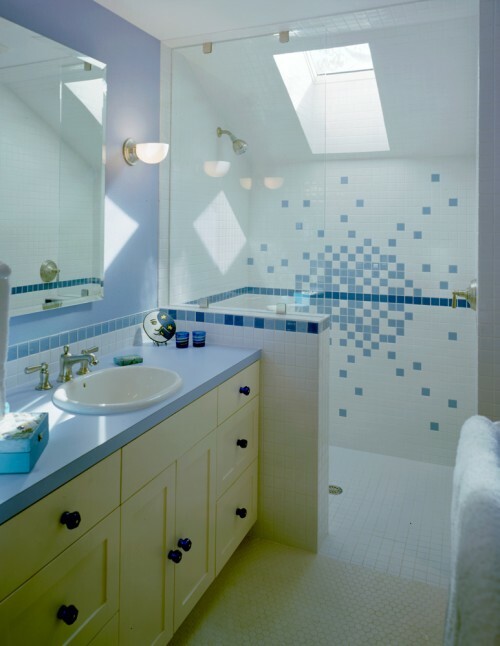 A skylight adds natural light that is reflected in the white tile. 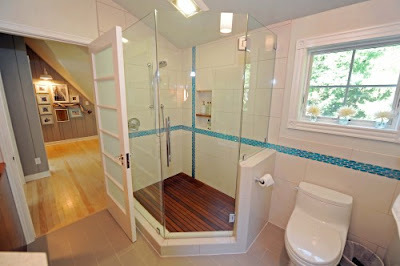 Lovely blue and green attic bath by AVA Design Build, Inc. (houzz.com). 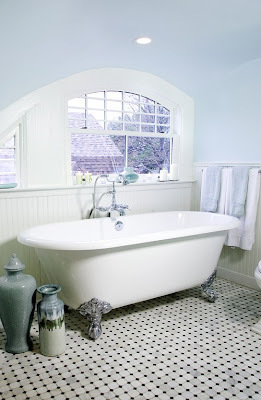 Light blue cottage style bath by SANDSTAR DESIGNS (houzz.com). 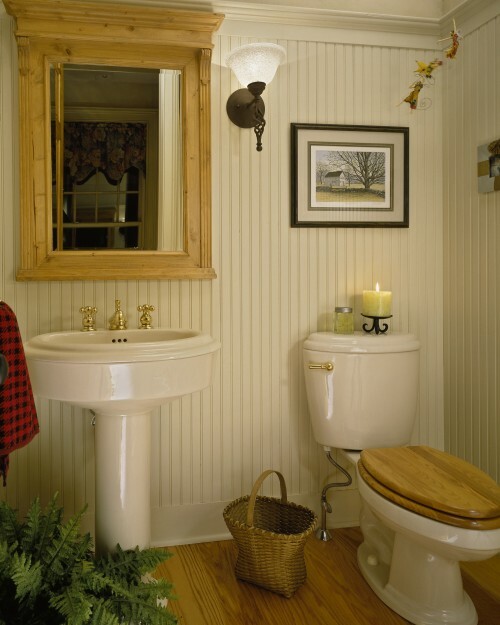 A country style bath by Witt Construction (houzz.com) uses lots of wood. Wood wainscoting and furniture. 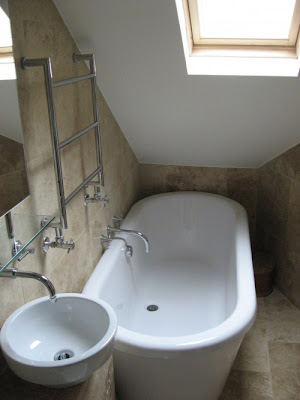 Smart use of the eaves to position a bath. (houzz.com). Classic color palate. 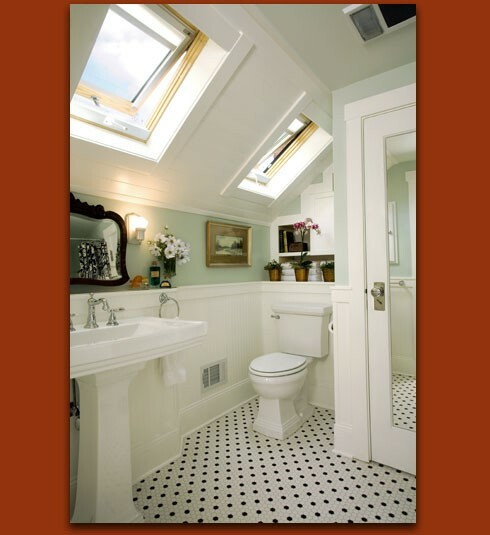 A classically designed attic bathroom by Claudio Ortiz Design Group, Inc. (houzz.com). Here too the slopped ceiling was Incorporated in the design. Amazing floor tile !!! 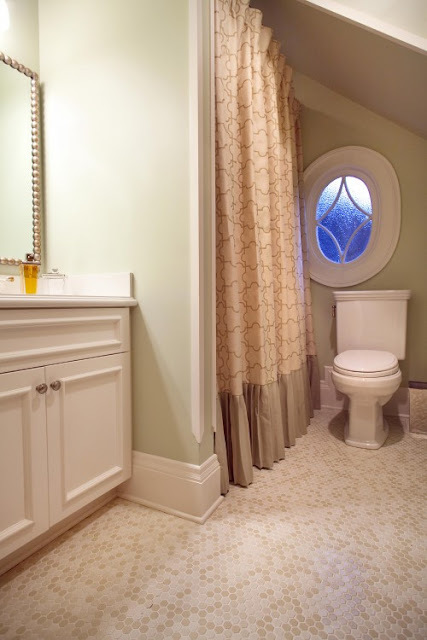 Another naturally colors attic bath by Joel Kelly Design (houzz.com). The use of marble tiles on the floor and walls create a luxurious spa-like space. Notice the unique sink derange. 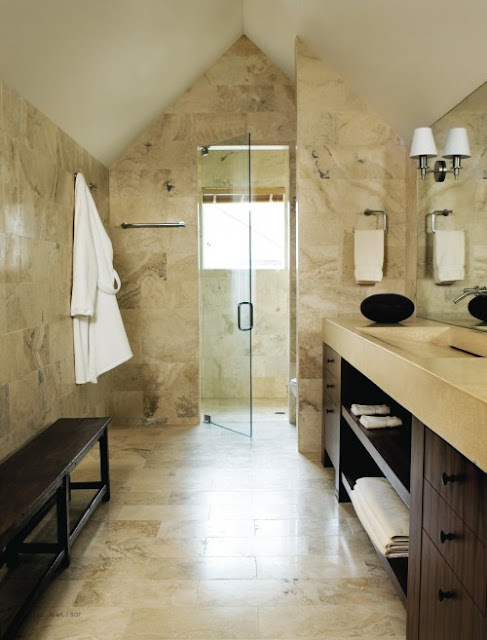 A bath by Kohler (houzz.com). Here too you can see the use of a natural color palate (a great way to prevent the space from getting dates fast). Amazing floors (I think it is actually tile made to look like wood. Amazing ceiling and accessorizing. 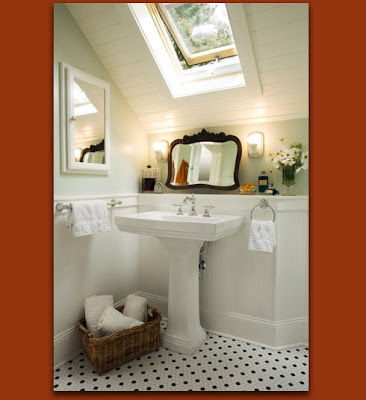 A classic attic bath by Garrison Hullinger Interior Design Inc. (houzz.com). Only the ruffled curtain stands out on the clean lined architecture. This attic bath was added to a house that before had only one bathroom. 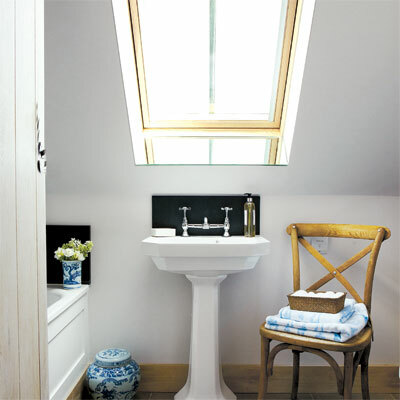 The claw foot tab was placed under the sloped ceiling -using an awkward, often unusable space. Here again the use of white walls allows the light to be reflected all over the room. Here too, the designer used an awkward space under the sloped ceiling to place the sink in. 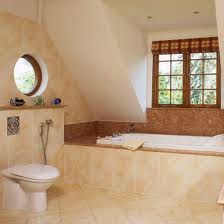 An attic bath by Donna DuFresne Interior Design (houzz.com). The style is classic cottage. Ample light comes in from the skylights. Just charming. 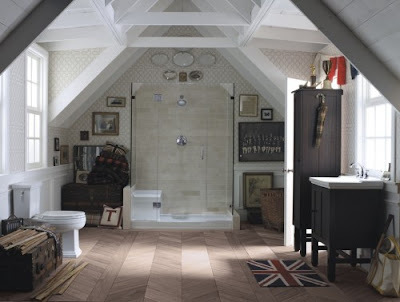 A nish in an attic bath (houzz.com). American classic timeless style. 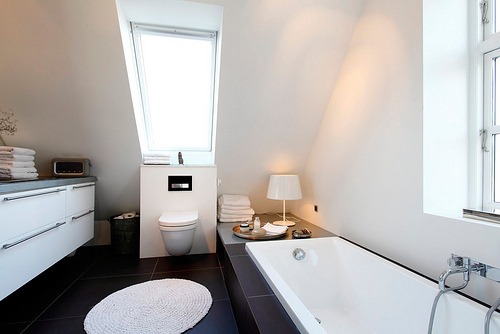 A spacious attic bath. 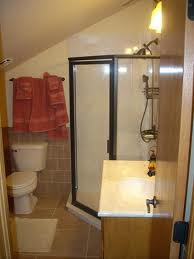 It was big enough to accommodate double sinks, claw foot tub, a small chest of drawers and a bidet. 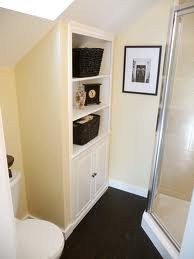 The next half bathroom was tucked under the sloped ceiling beautifully. 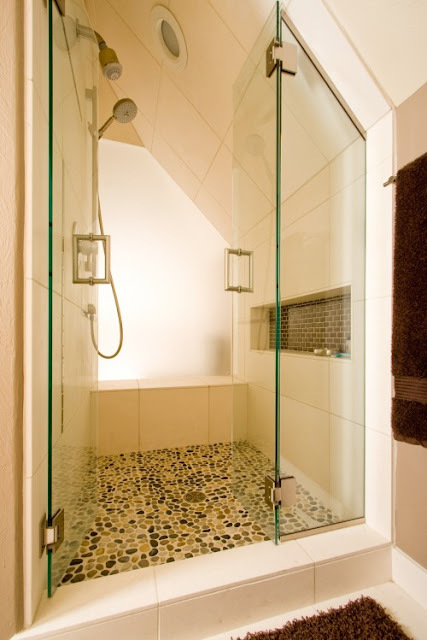 The use of clear glass shower walls lets the eye view all the room corners. This trick adds visually to the room size. beautiful on-suit bath. Classic decor. 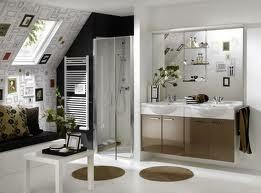 Use of under the eaves space to locate a bathtub. The shower though seams really narrow. My advice - if it does not fit - skip it all together. No one like to use an un-comfortable spaces. Another under the eaves bathtub. 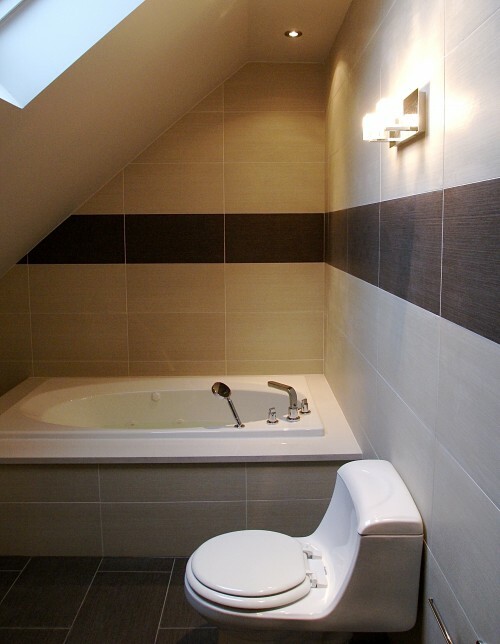 The next image is of an attic bath designed by Melissa Miranda Interior Design (houzz.com). The color palate is neutrals. The design style is contemporary. I love the color combo of light and dark tile. Another contemporary bath by HighCraft Builders (houzz.com). Here the use of fables as floor in the shower area adds an organic feel to the space. 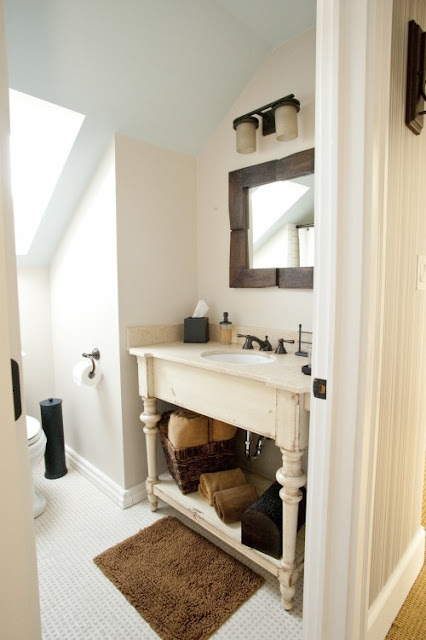 Small but functional under the eaves half bath. And another one, but with a bathtub. 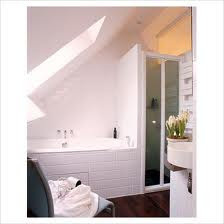 Modern style spacious attic bath. Notice the towel warmer on the wall. Great thing to have. On the left you can see part of a seating bench. How comfy. 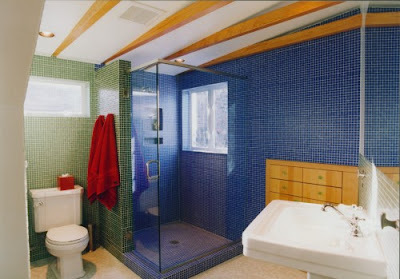 A sunken bath in a modern style bathroom.